Mission Hills, Central & Coastal San Diego Homes – How worried should you be about interests rates if you’re planning on buying or selling a home? How worried should you be about interests rates if you’re planning on buying or selling a home? Are you in the process or simply thinking about buying or selling a home? If you fall into either one of these categories then this post is a must read for you. In recent years, mostly due to the financial collapse of a few years ago, the federal interest rate has been at historically low level. The main reason for this was to help stimulate the economy by making borrowing money inexpensive. This helped greatly in assisting the economy recover from what most economists would deem the worst financial collapse since the great depression. The Federal Interest Rate at one time was at zero which meant banks and financial institutions could borrow money at 0% interest from the government and then lend it out to the American public at never before seen rates. However this is something that couldn’t and shouldn’t last forever and we’ve seen in recent years and months interest rates have started to climb slightly. As rates started to climb buyers became disillusioned at the thought of paying 3% or more. Why? I’m not sure because if you look at history rates back in the 80’s were around 18%, if you ask me 3% isn’t something to be upset at. 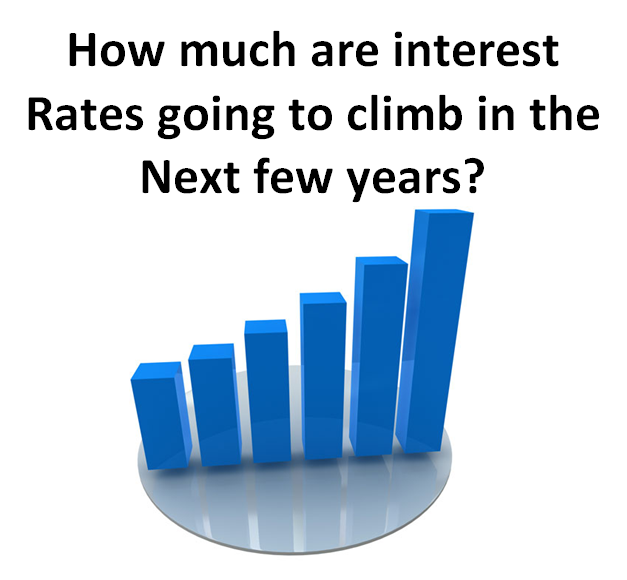 At this point your probably asking yourself, so how much are interest rates going to increase? Well anyone’s guess is as good as mine but from reading many publishes articles about this topic the Federal reserve is looking to increase rate by 0.625% this year alone. The main driving force behind this is the signs of inflation coming into the market and that’s one thing no one benefits from. Janet Yellen, Chair of the Federal Reserve, has given some hints as to where she sees interest rates going and this latest figure seems to be the most probable according to the latest survey of the board members of the Federal Reserve. The Fed has had many meeting and the topic of rate increases has been a topic of debate and conversation at all of them. So what’s after that? According to other articles the Federal Reserve is looking to increase its rates by another 1.625% in 2016. Is this including the 0.625 increase of 2015? No one knows for sure but what we do know is that interest rates have to climb to maintain market stability. This brings us to the title of my post, how worried should you be if you’re in the real estate market whether you’re buying or selling? I’d say it is a source of concern. No matter what side of the coin you’re on it’s going to affect you. As a buyer you’re going to pay more for the house per the interest rate and you’re purchasing power is going to diminish. As your loan rate increases your payment increases which means you can afford less house. As a seller you’re going to see the buyer pool diminish as less people will be qualified to purchase your home. My advice to both buyers and seller is to stay ahead of any interest rate increases by the Federal Reserve of the United States and move forward swiftly and timely with your real estate purchase or sale and avoid any potential consequences of the financial market’s changes. I hope this is helpful and that you avoid any interest rates increases and get the most of the San Diego real estate market. Need help? Let us put our knowledge and experience to work for you. Call Krista Lombardi or Victor Zuniga with Berkshire Hathaway Home Services at (619) 519-3251 or (619) 851-1078.